The lush vegetation beside lakes and streams is attractive to rabbits, especially during very dry spells. Occasionally they tunnel into river banks to make their homes, but more generally you will find their burrows beside hedgerows and on grassy banks at the edge of woodland. Rabbit numbers fluctuate greatly from year to year; they are very vulnerable during hard winters. 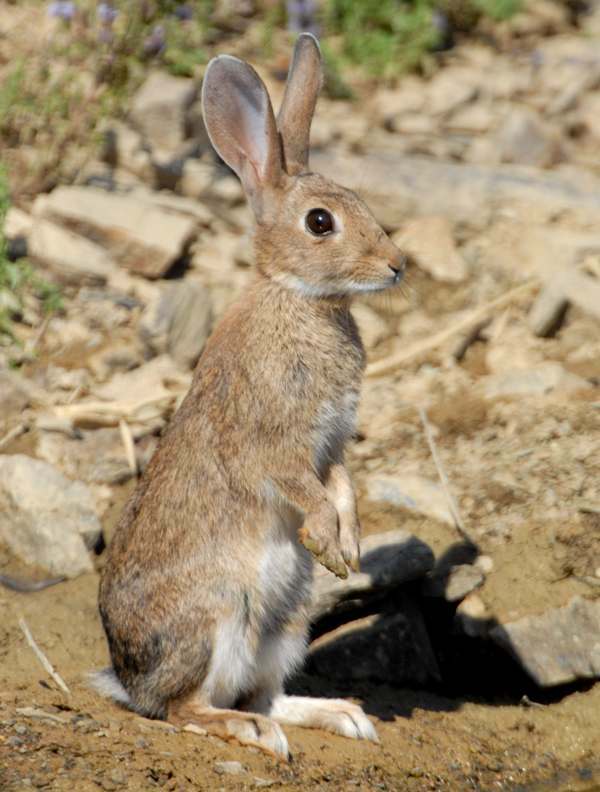 A relative of the rabbit is the brown hare, Lepus europaeus. Whereas rabbits are born blind and without fur on their bodies, hares are born with their fur coats already well developed and they are able to open their eyes and to move about unaided. Several dozen kinds of domesticated rabbits have been bred from the wild rabbits of Europe and Africa. Rabbits have been introduced to most parts of the world, and they became a major pest in Australia and New Zealand after a small number where released there in 1860. In Australia in 1951 the myxomatosis virus was developed. Transmitted by mosquitoes, this disease decimated the rabbit population there. 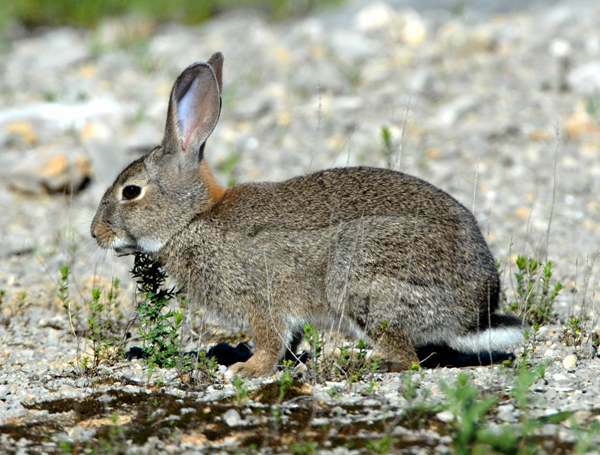 The myxomatosis virus soon spread to Europe, wiping out the majority of our own wild rabbits. In Britain the rabbit population has been gradually recovering, but it is still well below the pre-1950s level.